1980 creation of the company Aries, the port at Cherbourg Chantereyne. Aries is the name of the yacht Admiral, a beautiful wooden cutter, built by the shipyard Vandernote Rézé of the Nantes in 1966. - A branch office of the marina. 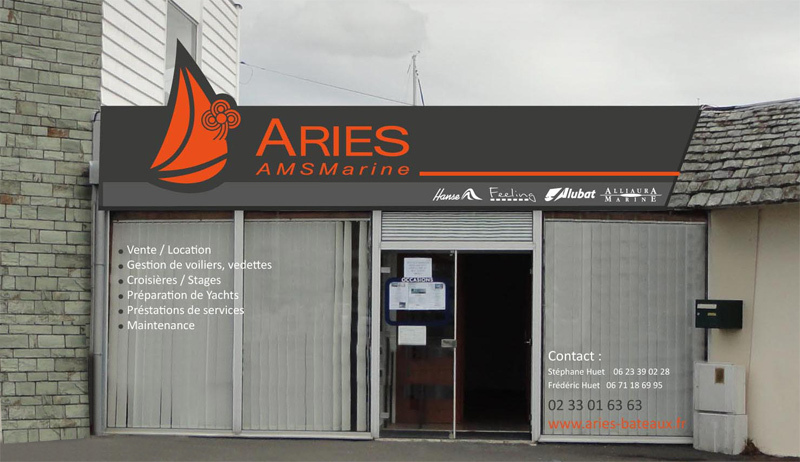 2009 creation of AMSMarine headquarters in St Germain des Vaux at Cap de la Hague. 2011 After two years of collaboration with ARIES, on all aspects of the game Shipyard. AMSMarine took over acquiring ARIES. This merger is a human story first. A story that is written every day. All players in our team work in harmony to bring you the best service.